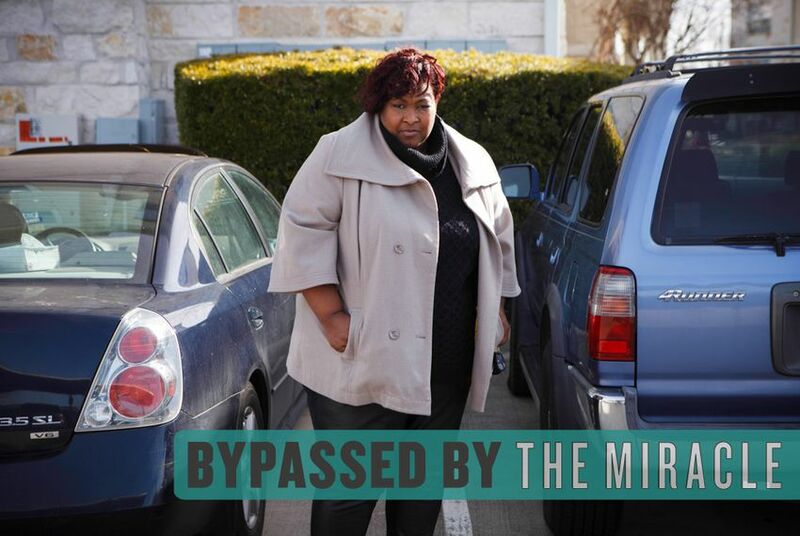 Tiffany Richardson had a job as a nurse, money in savings and no reason to imagine she would ever need to swap her car title for a quick loan. But the Houston-area resident did so last year after unexpectedly losing her job, becoming one of many Texans who find themselves deep in debt to so-called payday or auto-title lenders. The latter give loans with high repayment fees in exchange for car titles as collateral. “You’re like a hamster on a wheel,” Richardson, 43, said earlier this year of repaying her ballooning debt, adding that she was “looking out the window every night” to make sure her cars had not been repossessed. Dallas, El Paso, Austin and, most recently, Houston have passed ordinances restricting payday and auto-title loans, but an effort to impose state regulations on such lenders failed last year. There are no statewide limits on fees or loan amounts in Texas, where payday and auto-title lending is a $4-billion-a-year business that critics say preys on struggling families. Supporters say it provides a needed service to people who may not have other options for short-term loans. Texans take out larger payday loans than borrowers in other states ($468 on average, compared with $392 nationwide) and pay higher annual percentage rates (439 percent, compared with 339 percent nationwide), according to the Center for Public Policy Priorities, a nonprofit research organization. In 2013 alone, almost 38,000 vehicles were repossessed in Texas for defaults on title loans. “Texas has a relatively good history on usury in our state constitution, but this is one glaring example where the Legislature has just fallen short on acting on that legacy,” said Don Baylor Jr., a former senior policy analyst at the center. But Bill Peacock, vice president of research at the nonprofit Texas Public Policy Foundation, said local and state efforts to regulate lending wind up harming the very people they are supposed to be helping — by limiting access to capital. “If these loans were so bad for consumers, why are consumers entering into them?” Peacock asked. Richardson said her troubles began when her mother received a cancer diagnosis in 2008. She missed so many days of work to care for her mother that she eventually lost her job, her townhome and her savings, falling into what she calls a "perfect storm of financial disaster." Struggling to pay her rent and buy her mother’s medications, she borrowed from family and friends until she was afraid they would hate to see her coming. Finally last summer, nudged by television ads she had seen, she ducked into a lending store and took out a $5,000 loan, using as collateral the title to the 2005 Nissan Altima she had bought in better times for her mother’s 60th birthday. She said she fell behind on repaying the loan, in part because she had attended out-of-town training for a new job and did not realize she could not make payments by phone. So she took out a second loan for $2,400 with the title to her 1999 Toyota 4Runner. The amount she owed grew to several times what she had originally borrowed. “If I’m going to pay that kind of money, I may as well go get me a Bentley or a Mercedes-Benz,” she said. The average auto-title borrower nationally renews a loan eight times and pays $2,142 in interest for $941 of credit, according to a 2013 Center for Responsible Lending report. Rob Norcross, a spokesman for the Consumer Service Alliance of Texas, a payday lending industry group, said people often misunderstand how annual percentage rates are applied to small, short-term loans. An interest rate of 400 percent sounds high, but could translate into borrowing $100 and paying back $117, he said. The alliance favors a statewide regulatory framework over city ordinances. The group has filed lawsuits over several of the ordinances, which he said threatened businesses and limited borrowers’ access to credit. Houston’s ordinance, which is similar to those passed in other Texas cities, limits payday loans to 20 percent of the borrower’s gross monthly income and auto-title loans to 3 percent of the borrower’s gross annual income or 70 percent of the vehicle’s value, whichever is less. The law, which took effect July 1, also limits single-payment loans to no more than three refinancings and installment loans to no more than four installments. Eloiso De Avila, an advocate who pushed for the payday loan ordinance in El Paso, said more state regulation was needed because many Texans live in places without ordinances. The state legislation that failed last year would have pegged the maximum allowable loan to a borrower’s monthly income and capped the number of times a borrower could refinance a loan. De Avila, co-chairman of the El Paso Interreligious Sponsoring Organization, part of a network of faith and community-based organizations, said he had heard “all kinds of horror stories” about people in debt. Outside Houston, Richardson ended up losing her cars, as she had feared. When her car alarm sounded one night, she got up in time to see a tow truck disappearing with the Altima. The 4Runner was already gone. Richardson, whose mother died this summer, now has a steady job as a labor and delivery nurse — and a new car. She also has some advice for anyone considering wandering into a payday or auto-title loan business.